Check out our sponsors! * The Shelf Addiction Merch Store! Buy your next favorite bookish t-shirt! : http://www.shelfaddiction.com/merch.html * Try audiobooks! New audiobooks.com customers get a FREE 30-day membership and your first audiobook FREE! Use our promo code SHELFADDICTION when you sign up at https://ca.audiobooks.com/signup Ep 261 Tonight on BOOK CHAT, I’m interviewing author Meg Gardiner. She shares her cat and mouse thriller Into the Black Nowhere. Don't forget to check out Meg's lightning round Q&A at the end of the interview! Pick up copies of the book(s) mentioned during the interview! Unsub | https://amzn.to/2KPWt8a Into the Black Nowhere | https://amzn.to/2XfHLZi Connect with Meg Gardiner! http://twitter.com/#!/MegGardiner1 http://www.facebook.com/pages/Meg-Gardiner/83027222984 http://meggardiner.com/ *********************************** Find Tamara on social media! Website | shelfaddiction.com Twitter & Instagram | @ShelfAddiction (https://twitter.com/shelfaddiction / Instagram.com/shelfaddiction) Email me: info (at) shelfaddiction.com Want to share a comment? Have a question you'd like answered on air? 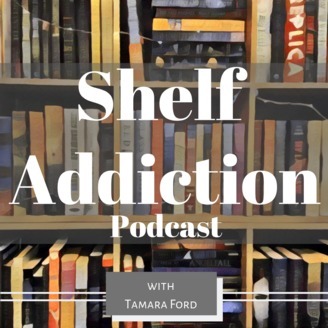 Call into Shelf Addiction and leave a Speakpipe voicemail https://www.speakpipe.com/shelfaddiction *********************************** Help the Shelf Addiction Podcast pay for the hosting and editing of the podcast by becoming a patron! Learn more at https://www.patreon.com/shelfaddiction If Patreon isn't your thing, you can also show your support by using out sponsored links or buying me a coffee (ko-fi.com/shelfaddiction) to help me with my early mornings and late nights spent editing. *********************************** Blog Updates: Join the 3 book bloggers, 1 series read-along!! Get more info here: http://www.shelfaddiction.com/read-along.html ********************************** Are you an author or audiobook narrator and would like to be featured on Book Chat? Apply here: http://www.shelfaddiction.com/author-feature-policy--request-form.html Podcast and Blog advertising opportunities available here: http://www.shelfaddiction.com/advertising.html *********************************** Produced with GarageBand - Ad Music | Sweet Success on Purple Planet is licensed under a Creative Commons Attribution license (https://creativecommons.org/licenses/by/4.0/) Artist: http://www.purple-planet.com/upbeat/4593380163 - Intro/Outro Music created by Samone Ward - Background Intro/Outro music from album Music for Podcasts 4, Southside by Lee Rosevere and is licensed under a Creative Commons Attribution license (https://creativecommons.org/licenses/by/4.0/) Artist: Artist: http://freemusicarchive.org/music/Lee_Rosevere/Music_for_Podcasts_4/ -Lightning Round: Zencastr standard background music -- licensed under a Creative Commons Attribution license (https://creativecommons.org/licenses/by/4.0/) FTC Disclaimer: The show notes may contain affiliate and/or referral links. I receive a small commission if you purchase using my link(s). 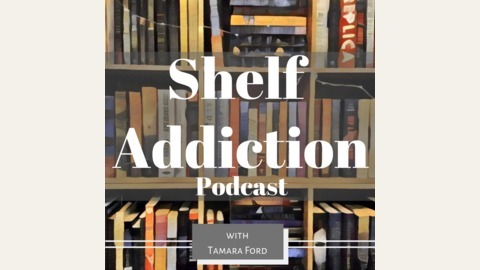 If you purchase using my link(s), you will be supporting the Shelf Addiction website and podcast. This is NOT a sponsored podcast. All opinions are genuinely my own. **This audio podcast shall not be reproduced, sampled or uploaded elsewhere without my written consent.